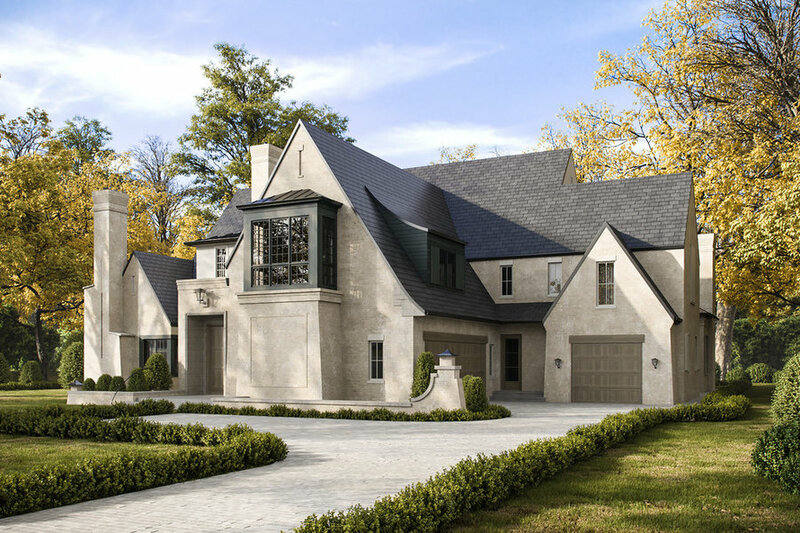 Custom home located in the Foxcroft neighborhood of Charlotte. 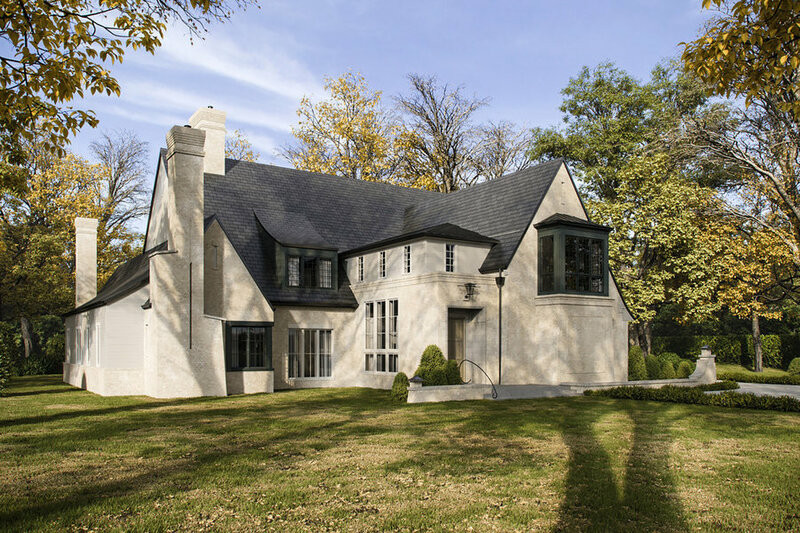 The exterior's parge coat brick with dark shiplap accents, along with the steep, sweeping roof lines give this home a unique presence on the street. Inside, a grand vaulted foyer leads to a generous great room designed with an expansive Nanawall and 13 foot ceilings, making the space feel open to the outdoor living area and infinity pool.